"The Mobil 1 Racing team works hand-in-hand with motorsports teams around the world, not just to win races, but to develop industry-leading technologies through testing Mobil 1 lubricants in the most demanding environments possible"
CHARLOTTE, N.C.--(BUSINESS WIRE)--Mobil 1 has been named the “Official Racing Oil of the World of Outlaws and DIRTcar” as a part of a new technology partnership. The partnership not only expands ExxonMobil’s presence and leadership in motorsports, but will enable a deeper technological connection between Mobil 1’s engineering team, dirt track teams, racers and engine builders. Building upon its more than 35 years of experience working with premier racing series and teams, Mobil 1 Racing oils will be featured at all World of Outlaws events including the World of Outlaws STP Sprint Car Series, Late Model Series, DIRTcar Summer Nationals and Super DIRTcar Series. To support the series’ teams and racers, Mobil 1 is introducing a traditional contingency program with a specific focus on rewarding engine builders who provide their customers with the performance benefits of Mobil 1. Since 2011, Tony Stewart Racing has served as an important technology partner for Mobil 1 inside the World of Outlaws. The team fields a roster of the sport’s top champions including 5-time Sprint Car champion, Donny Schatz, and “The King of the Outlaws” 20-time Sprint Car champion, Steve Kinser. Mobil 1 Racing oils are available in 0W-30 and 0W-50 viscosities and include fully synthetic, race-proven technology which is engineered to deliver maximum performance and protection for a variety of race conditions, including circle track, drag, dirt and road racing. Both viscosities feature double the zinc vs. regular street oils, utilize low viscosity synthetic base oils and are not recommended for street use. Mobil 1 provides a full line of products for use in racing including: motor oils, gear lubes, greases, hydraulic oils and oil filters. 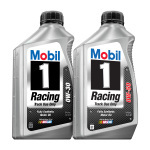 For more information about the Mobil 1 Racing line of products, including distributor availability, please visit mobil1racing.com. The Mobil brand’s history in motorsports officially began in 1979 with a sponsorship of Williams Formula One Racing Team. From that time, the presence of Mobil 1 technology on race tracks and circuits has grown by global proportions. Today, Mobil 1 synthetic motor oil is relied on for its ability to deliver exceptional engine performance and protection. 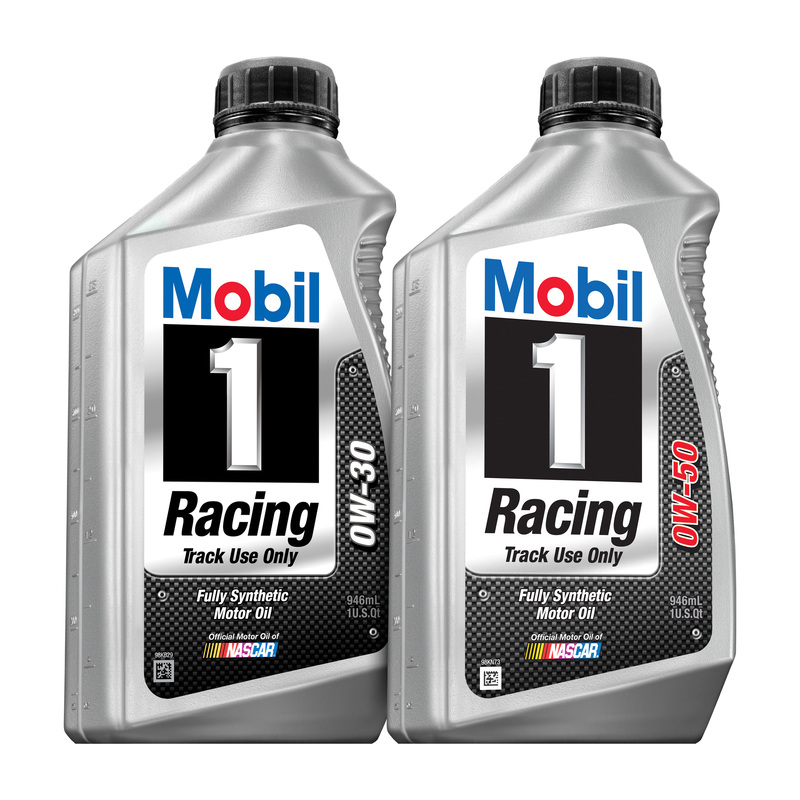 Along with its status as the Official Motor Oil of NASCAR, Mobil 1 enjoys a long association with many of world's most popular and successful race teams, including Stewart-Haas Racing in NASCAR’s Sprint Cup Series, McLaren Mercedes’ Formula One team, Corvette Racing’s TUDOR United SportsCar Championship team, Tony Stewart Racing in the World of Outlaws Sprint Car Series, as well as the Porsche Mobil 1 Supercup—the world’s fastest international one-make series. The World of Outlaws® and DIRTcar™ Racing, based in Concord, N.C., are leaders in the sanctioning and promotion of dirt track auto racing, operating the three highest profile national touring series for dirt track racing in the North America: the World of Outlaws® STP Sprint Car Series, the World of Outlaws Late Model Series(SM), and the Super DIRTcar Series™ Big-Block Modified Series. In addition, DIRTcar™ Racing sanctions more than 4,900 local and regional dirt track racing events in the United States and Canada at 126 tracks each year. Also, DIRTVision.com® broadcasts all World of Outlaws® and Super DIRTcar Series™ events over the Internet to fans around the world. To learn more about the World of Outlaws® and DIRTcar™ Racing, click WorldRacingGroup.com.